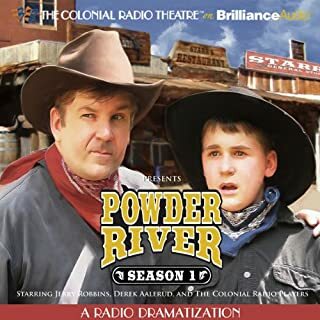 This performance features more exciting adventures along the mighty Powder River in Clearmont, Wyoming in 1877. 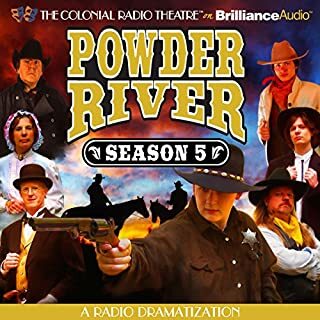 Bank robberies, cattle rustling, suspense, mystery, and plenty of double-barreled action are here, in 15 episodes of this popular western series, heard on Sirius XM Satellite Radio. 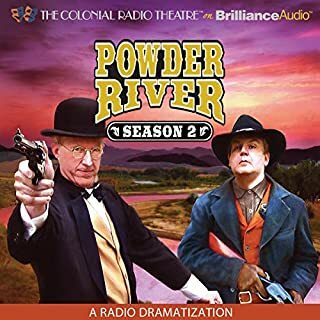 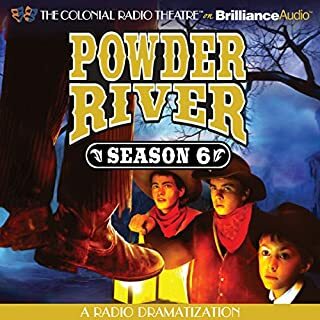 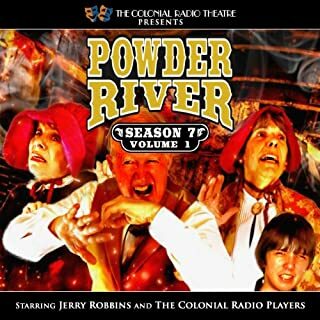 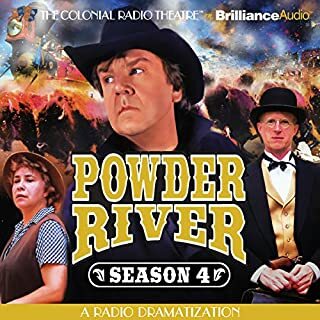 Join Marshal Britt MacMasters, his son Chad, Doc Harrington, Sheriff Dawes, Millie, Sandy, Clay Tucker, and all the folks of Clearmont, Wyoming, as you get swept up into the action with the Colonial Radio Theatre’s Powder River.